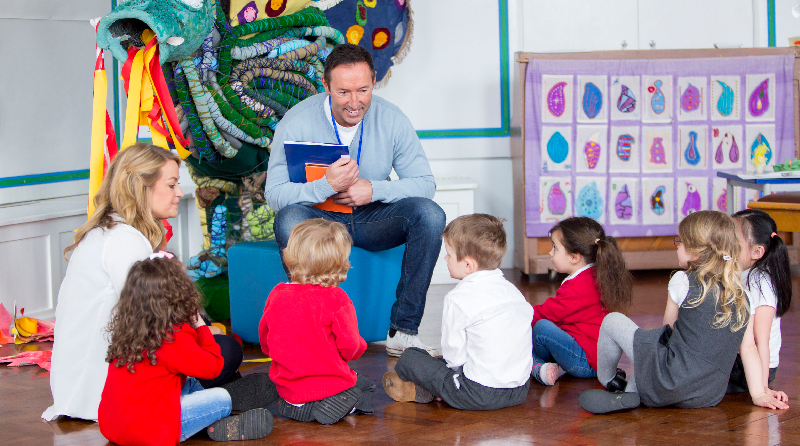 A report from the Education Policy Institute has shown that there is a downward trend in the number of qualified staff working in Early Years. It warns of the prospect that the future early years workforce may be less qualified than now. The report shows that fewer staff are working towards higher level qualifications and that almost half of staff with at least a level 6 qualification are over 40 years old. A fifth of these graduate-level staff members are over 50. Childcare providers have recently had to contend with an increase in National Minimum and Living Wage, driving up their costs considerably. This is threatening the sustainability of some settings, with providers likely to try offsetting this cost-hike by charging parents higher fees or hiring less qualified staff. The report also states that there has been an emerging downward trend in the number of staff members who have at least a Level 3 early years qualification (Early Years Educator). 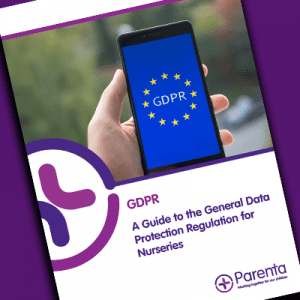 Separate survey data from the National Day Nurseries Association suggests that those with at least a Level 3 qualification fell from 83% in 2015 to 75% in 2016. Sara Bonetti, associate director of Early Years at the Education Policy Institute, said: “While there have been some positive measures to support the early years workforce, such as increases in staff pay, our analysis highlights a number of unwelcome trends emerging, which pose a threat to the quality of provision in England. “Staff qualification levels remain low – with levels even declining among staff working with the very youngest children. In the near term, a lack of highly trained staff may hinder the recent expansion of childcare entitlements. In the long-term, there is considerable risk that a continued fall in qualification levels will have a negative impact on children, particularly the most vulnerable. The Department for Education has said it will continue to encourage graduates into the sector through the Early Years Initial Teacher Training programme, providing support through bursaries and employer incentives. Minister for Children and Families Nadhim Zahawi said, “It is positive this report recognises the work underway, alongside the sector, to improve qualifications and develop a new apprenticeship route in to early years. The majority of councils have no men working in their nurseries, as some parents fear they could pose a risk to young children. It was found that, of 38 councils across England, Scotland and Wales, 26 of these do not hire a single male teacher. Of 400,000 early years educators – which includes pre-schools, nurseries and school reception classes – 98 per cent are female. He added that more men would be interested in becoming nursery teachers if they understood the benefits it can bring to young children. 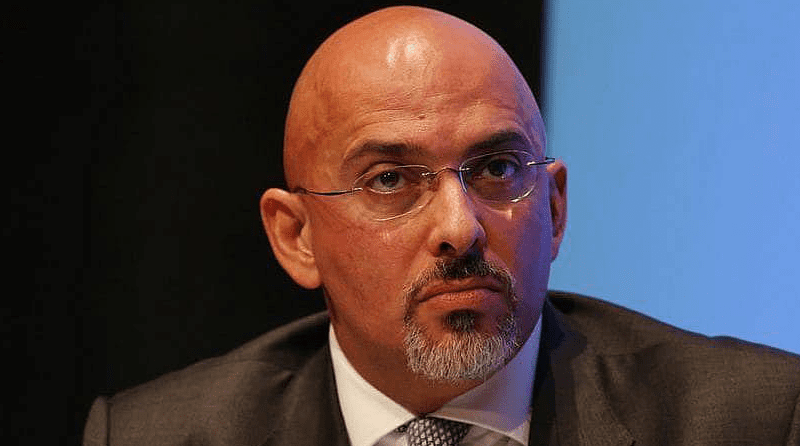 Nadhim Zahawi, the minister for children and families, said that the lack of male nursery teachers is a problem which the Department for Education is trying to resolve. At the education select committee, he said: “I think there is an issue. We do need to do more. The Chief Executive of the National Day Nurseries Association, Purnima Tanuku, said that childcare is seen by many as a “woman’s job” and that recruiting male practitioners is a “long standing problem” for the sector. She said that nursery managers must refuse requests from parents for male members of staff not to change nappies or take their children to the toilet. Last week, a report from the Education Policy Institute warned of a decline in qualified early years staff. 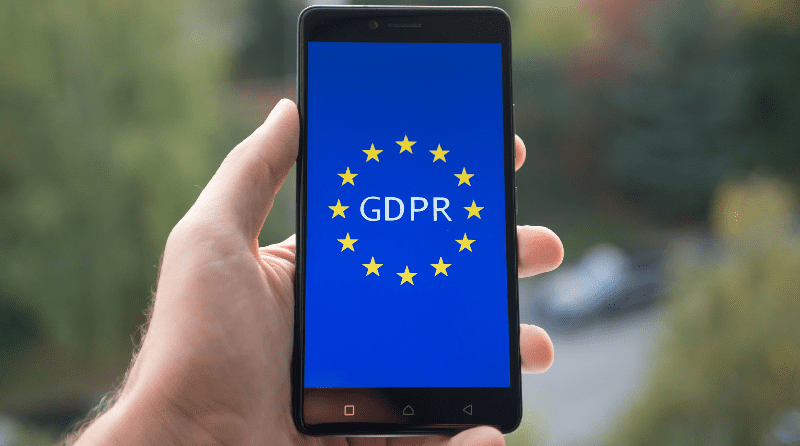 The report highlighted that fewer practitioners are working towards higher level qualifications and that almost half of staff with at least a level 6 qualification are over 40 years old. 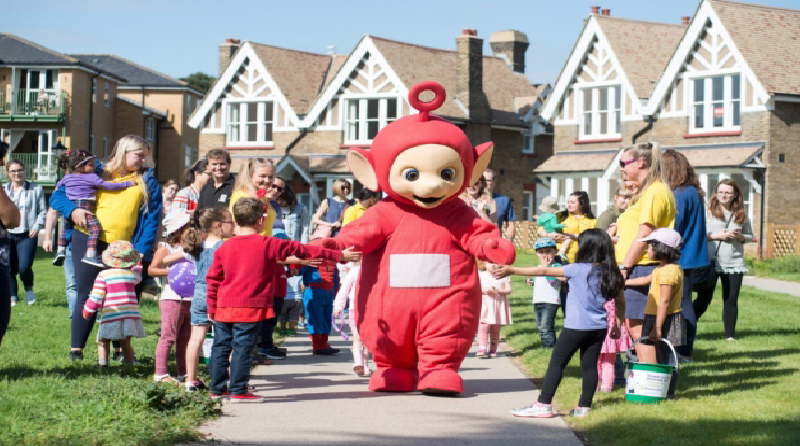 Toddlers are teaming up with Teletubbies again after helping to raise a total of more than £260,000 for vulnerable children last year. Children’s charity Barnardo’s, whose head office is in Barkingside, is encouraging toddlers, parents, playgroups and pre-schools to get involved in the Big Toddle fundraising week from June 18 to 24. The Big Toddle is a great opportunity for under-fives to have fun with friends and families and raise money to help disadvantaged children. The children often get involved by completing a sponsored walk in fancy dress. Lyn Gradwell, director of Barnardo’s in London, said: “East London is full of fantastic parks and green spaces so I hope local groups will embrace this year’s nature theme and get imaginative with fancy dress. Last year, events run by under-fives groups across the London borough of Redbridge raised more than £1,800 towards the total of £265,350. Those who contributed were Peter Pan’s Day Nursery in Barkingside, which contributed £719; Tree House Nursery in Wanstead, which raised £630; Kids@Play Preschool in Ilford, which raised £272; and St Paul’s Christian Playgroup in Woodford Green, which raised £136. An independently organised Big Toddle in Woodford Green also raised £137 and another in Woodford Green raised £85. Last year, more than 272,000 children, young people, parents and carers were supported by Barnardo’s through more than 1,000 services across the UK, including young carers, care leavers, foster carers and adoptive parents, training and skills or parenting classes. Fleetdown Open House now offers young children the chance to enjoy strobe batons, baby-safe sequin and disco spectrum lights. 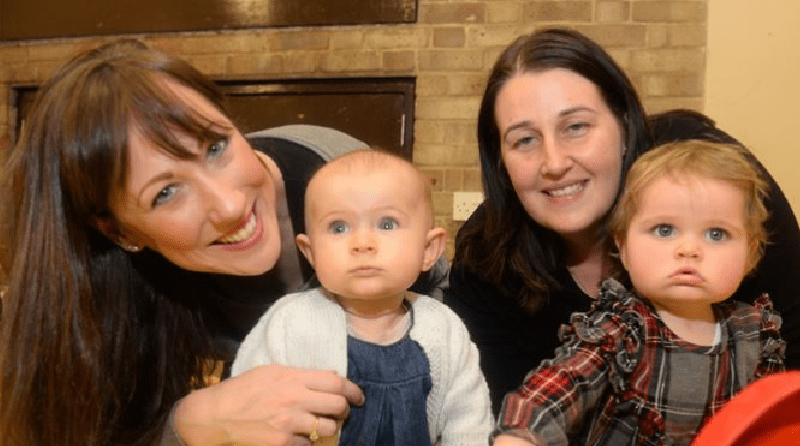 Ellie Robinson, who started a mother and baby group with friends in December 2016, wanted to promote sensory play and create an environment suited to all children, including those with special needs. Multi-sensory play is a safe way for all children to learn how to interact with the world around them and it is said to help their emotional and behavioural development. Money for the sensory room came from several fundraising events, as well as a community grant from Dartford council. In the future, Ellie is hoping to have enough money to buy a chair which will help children with physical difficulties to be able to sit up unaided. The Mayor of Dartford, Cllr Rosanna Currans, who has been a supporter of the group since it first opened, attended its re-launch along with more than 30 children. Ellie, who runs the group, said: “It was really busy, as busy as we could have hoped for. There were a lot of new parents there with small babies. “The Mayor has helped us quite a bit since we’ve opened and she comes along quite often. The mother and baby group is aimed at children under five and runs every Wednesday during term time between 12.45pm and 2.45pm.